Chart-topping Caro Emerald announces her largest UK tour to date. Starting in Bournemouth on March 8th2014 the tour will include a night at The O2 in London and will take in Cardiff, Plymouth & Brighton, Leeds, Nottingham, Newcastle, Manchester, & Glasgow before concluding in Birmingham on March 22nd. With more than 2.5 million record sales, 15 platinum discs, 32 million YouTube views, a host of awards (including an Echo, Goldene Kamera, Edison Award, EBBA & MTV Music Award), a string of sold out tours and, of course, the thrill of seeing ‘The Shocking Miss Emerald’ enter the UK charts at number 1 it is fair to say that Caro Emerald is having a pretty good time. 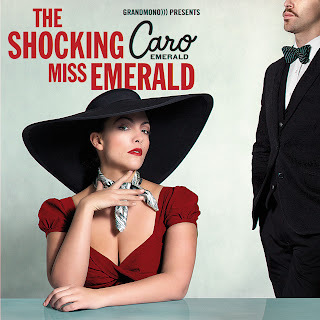 Released in May throughout Europe ‘The Shocking Miss Emerald’, Caro’s second studio album, continued the musical theme set by 2010’s debut ‘Deleted Scenes From The Cutting Room Floor’. Her retro-pop sound is a “fun mix of vintage jazz, beats and pop” that is rooted in the past yet thoroughly modern with its samples, scratching and beats blending with the rhythms and style of yesteryear. That signature sound has proven to be a winning formula and ‘The Shocking Miss Emerald’ entered both the UK and Dutch charts at number 1. Caro’s 2014 tour follows her sold out 14 date UK tour in September 2013 and March dates which included a night at the Royal Albert Hall.